Add another one to the list of changes we can expect in iOS 7 – Microsoft’s Bing Search will be the brain behind Apple’s Siri virtual assistant on the iPhone. 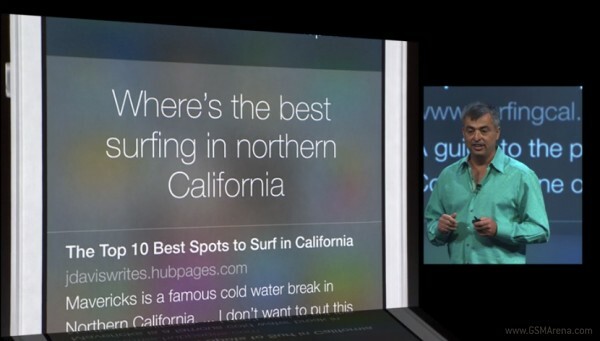 The new search engine is accompanied by Siri’s new look, voice templates, and extended capabilities in iOS 7. Why Apple decided to part ways with Google as far as Siri goes is anyone’s guess, it could be anything from an enticing offer from Microsoft to Bing simply providing results more optimized for Siri to be able to read. Either way, the default browser-based search in iOS will likely remain powered by Google as it’s just Siri’s web search that’s mentioned, so it’s not a complete split.